A plane at Logan Airport. A Delta Airlines crew saw a drone about 15 miles northeast of Boston Logan International Airport late Wednesday morning, according to the Federal Aviation Administration. 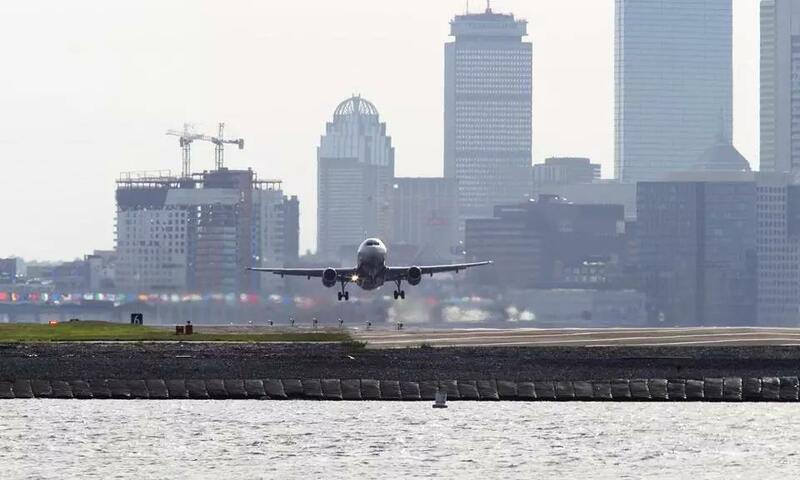 The flight, which was arriving from Philadelphia, landed safely at Logan, and the crew did not have to take any “evasive action” because of the drone, officials said. No injuries were reported. The FAA is investigating the incident and the Massachusetts State Police have also been notified, according to an FAA statement. State Police in a statement said the drone was spotted over the ocean. It looked like it was being flown over a boat, according to that agency. The plane was at about 3,000 feet, while the drone was about 300 feet lower in altitude, State Police said. Danny McDonald can be reached at daniel.mcdonald@globe.com. Follow him on Twitter @Danny__McDonald.